Many times home buyers consider buying before they know anything about a neighborhood or city. This happens often with relocation home buyers who do not know the Greater Daytona Beach area. For those considering a specific neighborhood because they heard it was a great place to live, should do their own research and take a few things into consideration before jumping in and buying a home in unfamiliar area. • Don't assume that because someone else likes the neighborhood, you should pick up and move your family there. Drive the neighborhood and see the community. • Determine school zones if they are important to you, as well as community events and things the neighborhood offers to you and your family. • If you work out of the area, consider a neighborhood close to I-4 or I-95 for easy access and a shorter drive. These are just a few tips to find the right neighborhood for you and your family. For more information about the local neighborhoods and communities, Call Brenda Benz! Brenda is very familiar with the Greater Daytona Beach area. Waterfront living - The great thing about the Greater Daytona Beach area and Ormond Beach area is we have beachfront properties, oceanview homes, riverfront homes and many lakefront homes for sale. So if you love the water and want to be close by there are many options for you. Luxury Homes - The Greater Daytona Beach and Ormond Beach area offers a wide selection of secluded, private estates, mansions and luxury homes for sale. Whether it be on a golf course, riverfront or located directly on the ocean, the possibilities are endless. This is the time to buy your Florida Luxury Home with affordable prices and amazing low interest rates. Luxury Condos - The luxury condo market is a great value, with unbeatable prices currently on the market for sale, especially if you are the type that does not want to cut grass or maintain your property on the outside. They are ideal for snow birds to enjoy for months out of the year. If you are looking for specific perks and amenities, there are luxury condos on the market to fill your needs. Choose from oceanfront, oceanview, corner unit, penthouses, riverfront, golf course, and more. If you are in the market for a luxury condo contact Brenda today! Gated Communities - If you would like a sense of security when you are home, a gated community might be perfect for you! Some gated communities have 24/7 guards or gates that remain closed at different time intervals of the day or night. In addition, some gated communities offer you the added ammenities for your lifestyle such as golf, tennis, social activities, and community centers. Brenda assists homebuyers in Port Orange | Ponce Inlet | Daytona Beach | Daytona Beach Shores | South Daytona | Holly Hill | Ormond Beach | Ormond by the Sea and loves selling properties on the beachside. If you are relocating, contact Brenda for a relocation package and find out why so many residents make The World's Most Famous Beach their home or enjoy it as their vacation home during the year. 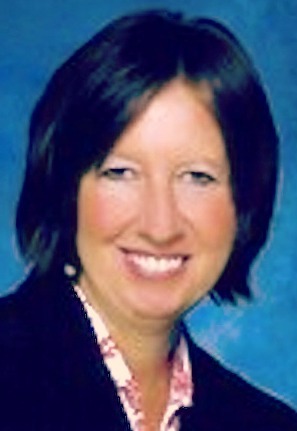 Brenda Benz at RE/MAX Property Centre, has assisted many happy homebuyers in making their dreams come true! As a homebuyer it is important to start the steps to obtain a mortgage getting you one step closer to becoming a homeowner. Obtaining a mortgage approval can only benefit you in regards to knowing the price of home you can afford but also provide you strong negotiating power. Most sellers today require a pre-approval letter to be submitted with an offer before considering. If you are not sure who to call, contact Brenda and she will be happy to guide you to homeownership today! When buying real estate in the Greater Daytona Beach area, you must determine whether you would rather own a home or own a condo. Both have benefits and the choice will depend on the needs of a home buyer. • Condos offer exterior maintenance free living. The Condo Association maintains the exterior of the building as well as common areas. • Maintenance fees are charged on a monthly or quarterly basis. • Condos offers amenities such as water included, cable, insurance, parking, guard, business center, pool, and tennis court. Each development is different. • There are rules and regulations that must be followed. • Restrictions can include rental restrictions, a limit on pets/size and breed, parking, motorcycle and boats being parked on property and more. • Views such as the beach, river, preserves, golf courses, and poolside vary from unit, to floor, to building. • Not only do you own a home but you own the land. You cut the grass, and maintain the landscaping unless in a maintenance free community. • A single family detached home is not attached to your neighbors home. A house normally offers more square footage. • You can usually paint the home the colors you choose unless it is against the home owners association rules(if applicable) or city ordinance. • When buying a home you can normally add an addition according to your family's needs and growth. • Usually, there are no pet restrictions in size or types unless restrictions apply with home owners insurance.